In this one-hour special, some of the biggest names in comedy pay tribute to the legendary stand-up stage founded in 1963 by Budd Friedman. From its earliest days in New York City to a Hollywood expansion and beyond, The Improv played a major part in the American stand-up explosion of the ‘80s and ‘90s. 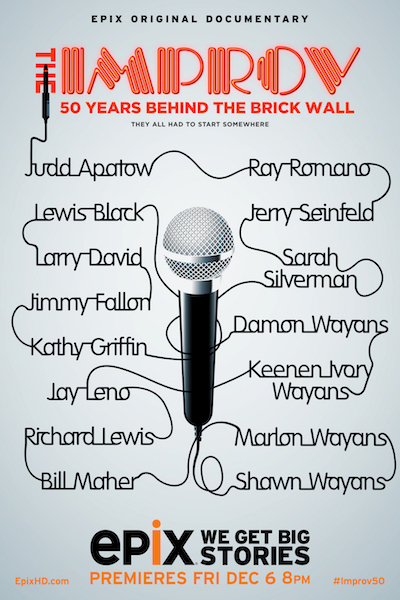 Interviewees include Jerry Seinfeld, Ray Romano, Jay Leno, Kathy Griffin, Jimmy Fallon, Sarah Silverman, Keenen Ivory Wayans and Judd Apatow.